The Hiking Club is a great opportunity to get off the couch and do something positive for your body and your brain. 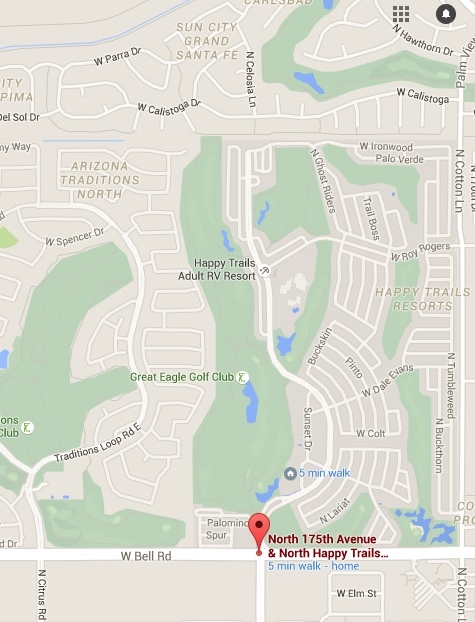 There are numerous trails in the 50 mile radius of Happy Trails. Our hikes are from 4 to 12 miles, on varying surfaces, with different elevation gains. We hike on Monday and Wednesday one week and Tuesday and Thursday the following week. Hikes are announced Friday afternoon via email for the following week. Each announcement contains a hike rating indicating the degree of difficulty for that particular hike. 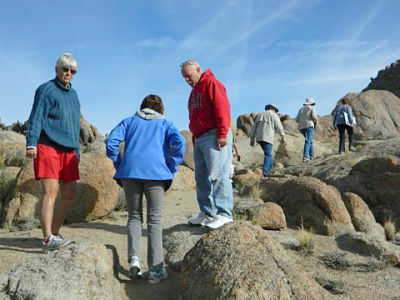 The Hiking Club members help each other as members explore the many mountain and valley trails in Arizona. What great exercise...and the views...spectacular! Arizona is a unique destination to enjoy the beauty and diversity of the state while enjoying those blue skies and warm weather. We found a very unusual saguaro cactus on our hike and decided to name it "The Michelin Man". 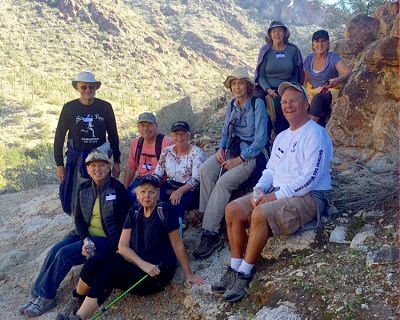 The Happy Trails Hiking Club takes a break for a great photo with Saguaro Cactus in the background.